I am terribly excited today as I have recently been hit with a truckload of inspiration … for American food! It all started with a casual flick through YouTube and I happened to randomly click on a Paula Deen video. She was sharing her recipe for southern-style Mac n Cheese and from there I simply began clicking on her other videos. In the end I spent the entire night simply sat there, captivated by her personality and warm homestyle cookin’ (it was 4 a.m by the time I stopped) that I began to wonder if I could pull off American cooking for the blog. As a general rule I tend not to feature food that I have not personally sampled before. I like to have a reference by which I can judge whether my version comes close to how the locals do their dish. If I have never tried a certain dish cooked by the experts before, how can I possibly know if what I am doing is the right thing or not? So this proved to be an obstacle I needed to overcome considering I have never set foot on American soil, and I only have my imagination to guide me along. I know what an Italian pizza should and would taste like, but an American one? I often wonder if New York Pizza can be considered close to the real thing. I have some idea about what some food tastes like. I have eaten my share of Mac n Cheese. I’ve eaten a Cobb Salad (at Hard Rock Cafe) before. I definitely know what a cheese burger tastes like. But somehow I still believe the Americans would do it different, and it would taste different too. So with this in mind I have made a conscious decision to not over-think things and just follow the recipe as a guide. I am not claiming any of my cooking is going to be anywhere near authentic … rather, it will be part of my learning objective to educate myself in the cuisine of the great, the awesome, North American continent. I have done some extensive reading, seen countless online videos and now I want to buy myself a book on regional American cooking to provide further insight. I believe to know the people of America is to cook what they cook and to eat what they eat. To understand their culture I need to discover the roots of their cuisine and learn how some of their food came about and who influenced the flavour. There are some foods that are so steeped in the history of the land, they are deemed national treasures, while others simply reflect the obsession Americans have with mass produced and overly manufactured confections such as the Pop Tart and Twinkies. Love ’em or loathe ’em, institutions they have all become. They have become such icons of the United States … as American as a Ben Franklin note, I like to say. Now, I have made a list, a looooong list of all the food I’d like to try and teach myself to cook. 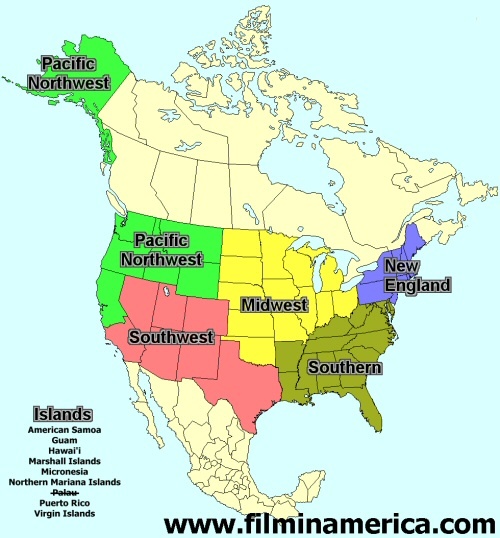 I again did some research and picked a few famous dishes representing a different region of America ~ New England, Pacific Northwest, Midwest Plains, Southern, Southwestern and Floribbean. Some regions, like Hawaii, I have unfortunately left out because I have no clue what their cooking is about … I have to perhaps experience it first hand before I can give any personal opinions about it. The list is quite involved and at first I did not know where to start but after come consideration I think I will cut my teeth on soups and starters first. Which brings me to today’s recipe: Johnnycakes. 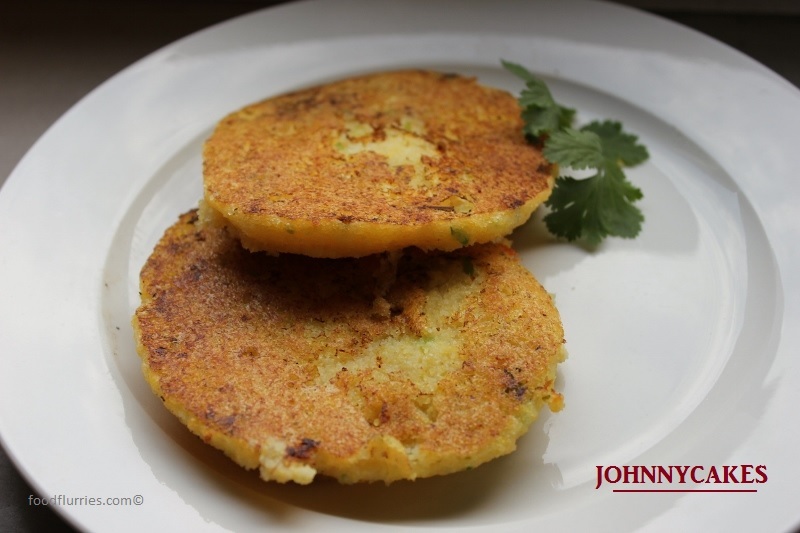 Johnnycakes is an old recipe, handed down through the generations from the time of the first colonial settlers in the early 1700’s. 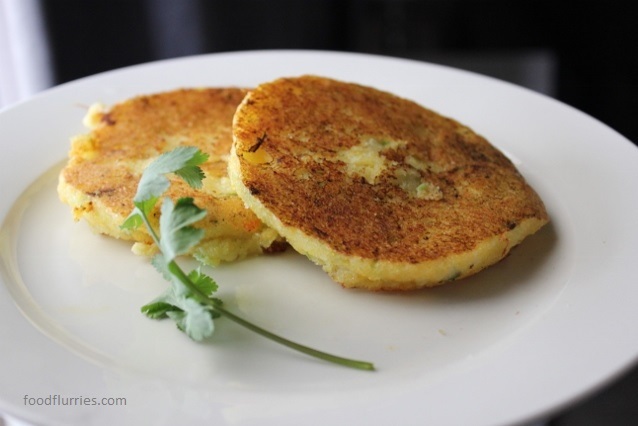 No one really knows how the name ‘Johnnycake’ came to be, but there have been theories that suggest they may have evolved from previously being called Shawnee cake, after the Native American tribe, and journey cake, because these were hardy travelling food that were easy to transport across the great plains. All that went into these pancakes were cornmeal, boiling water and some salt. It is widely accepted that the early native inhabitants of the northern states, the Algonquians, introduced the use of corn and cornmeal to the new European settlers, amongst other things, and I guess things just ran on from there. 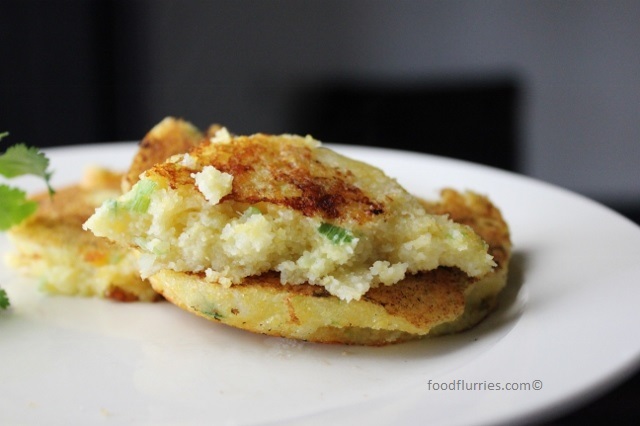 To make Johnnycakes at home you’ll only require very few ingredients. I tried out the original recipe and let’s just say I found it a touch plain … filling, but plain. So I made a second batch and added some chopped green onions, garlic powder and green chillies, and I added a splash of cream. Not entirely sure if I am meant to do that, but it did improve the flavour heaps. I mean no disrespect to the original recipe, it was still quite the experience making these … but I just have an affinity for bigger and bolder flavour profiles. All you need to do is mix all the ingredients together with a whisk and then cook them as you would regular pancakes. The only thing I would say to watch out for, for all of you who have never worked with cornmeal before, is that once the hot water hits the cornmeal it will thicken very quickly. So keep whisking as you pour. This was the first time I have ever made a cornmeal pancake and it was yummy! Nice and savoury and I didn’t mind the texture either. It was crispy round the edges and kinda cakey in the center. Interesting. I think if they were cooked in bacon fat they would have stood up a little better and I wouldn’t have to alter the original recipe. So there you have it, Johnnycakes … and I think I shall call this one a success, honest. I even took tips from chef John of Food Wishes. What I don’t know is what do you eat Johnnycakes with. Do you eat it plain or do you eat it with sour cream or gravy? If any of you Americans can help shed light on the subject, I would love to hear from you. In the meantime, I shall busy myself preparing for my next classic American dish for the next post … Smokey Bacon Corn Chowder. Tune in next time.